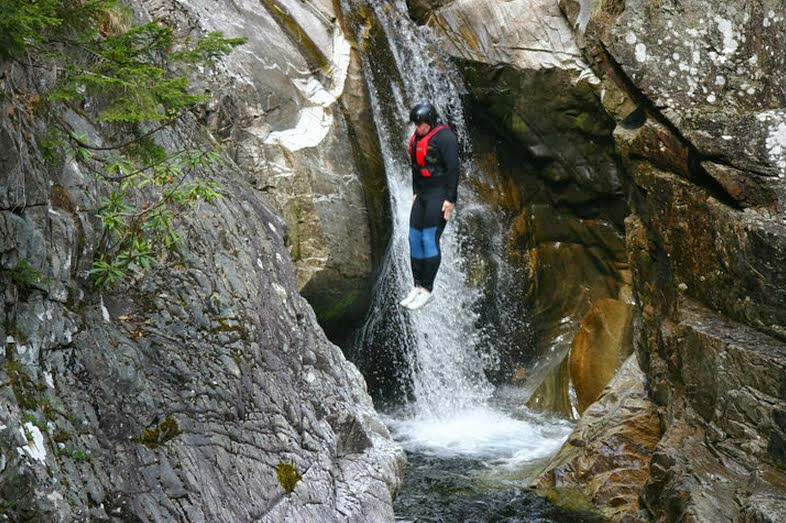 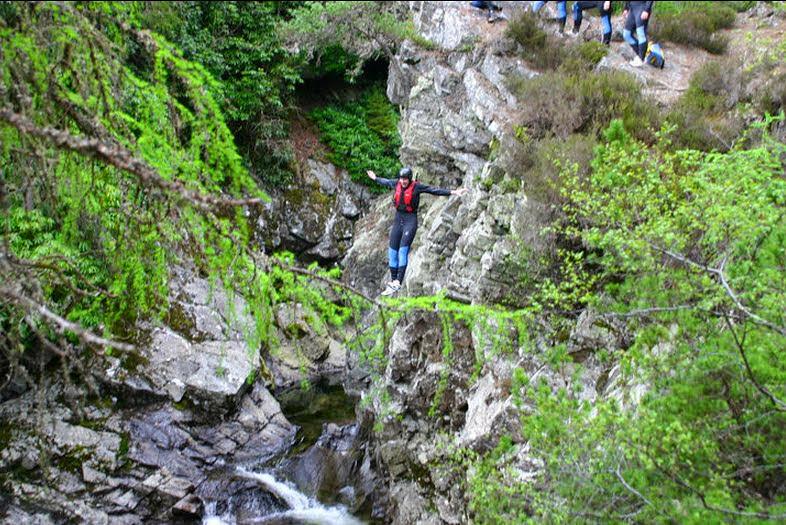 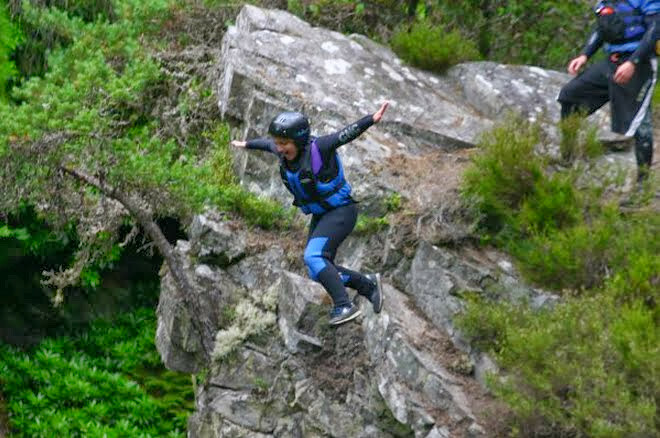 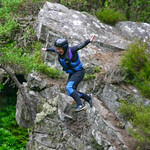 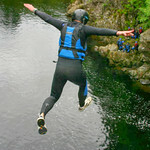 If you are looking for a great morning or afternoon of excitement and fun, then join us for this Highland Adventure. 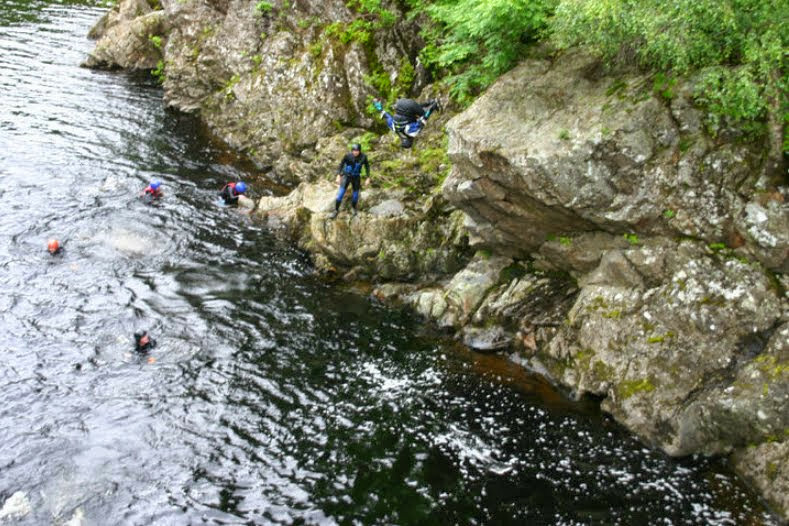 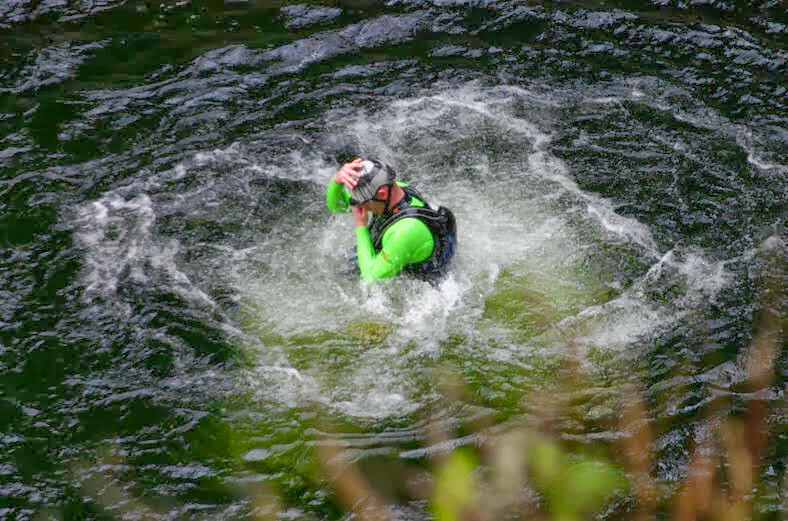 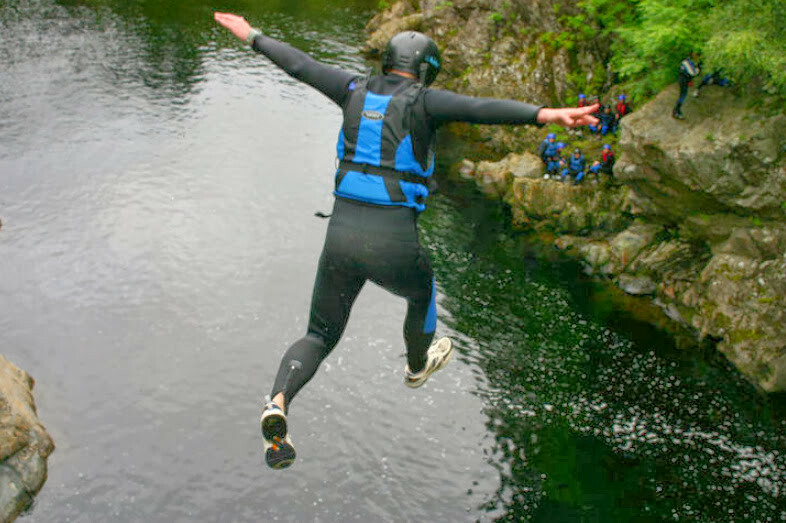 After scrambling upstream through rocky pools and along the steep sided river banks your group will eventually reach the river head from where the fun really starts. 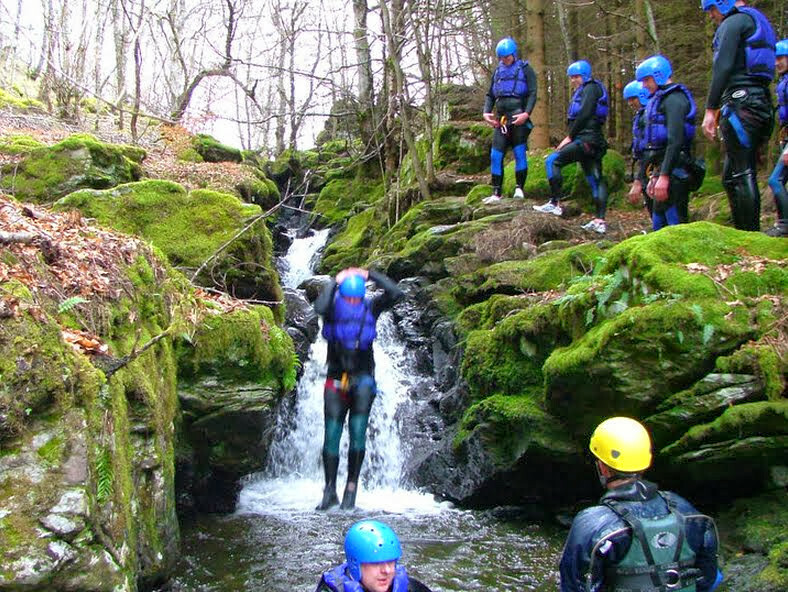 The downstream journey is a mixture of rope descents sliding down waterfalls and natural rock flumes. 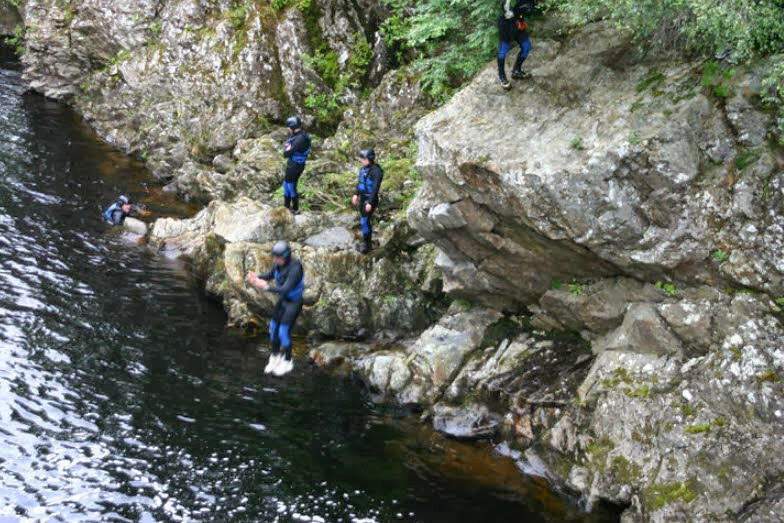 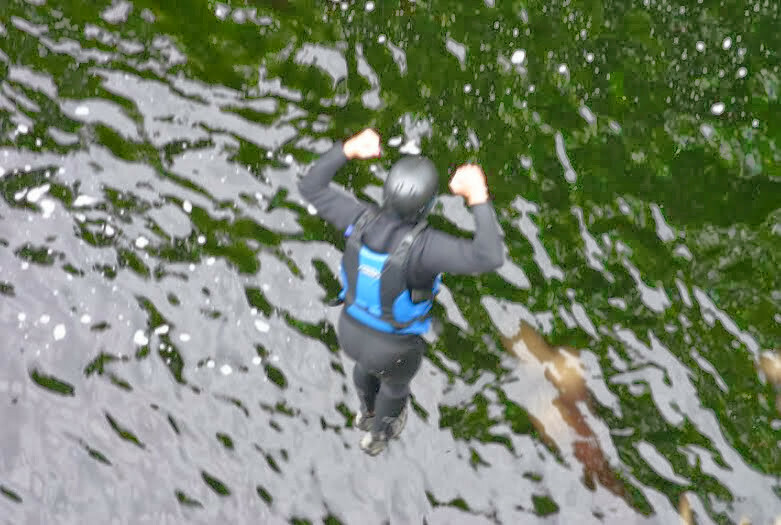 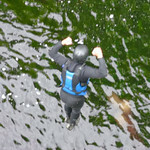 But by far the best part of the event is the series of amazing jumps into deep dark rock pools from stupid heights. 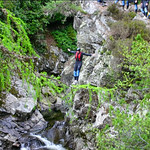 Some degree of physical fitness is required. 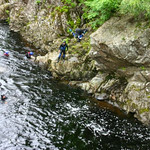 Allow about 3 hours for this activity. 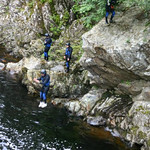 At all times the Instructors are there to both guide you and to keep you safe. 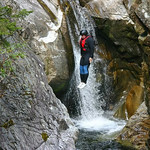 If possible bring a waterproof camera to capture those moments of abject terror. 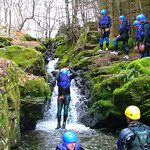 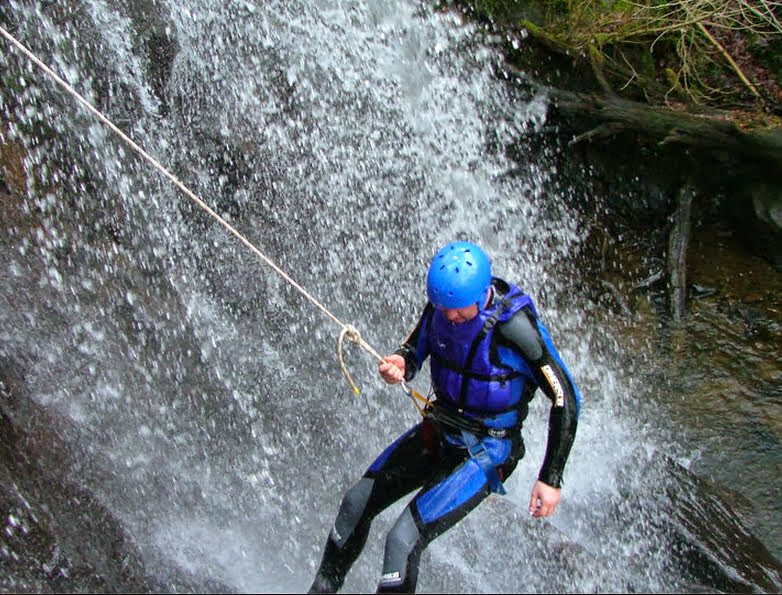 A descent of a river stream or burn using ropes for lowered descents plunge pools and natural rock flumes. 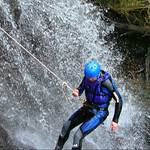 As always you will be provided all necessary safety equipment and you will be taken down the canyon by one of our guides.